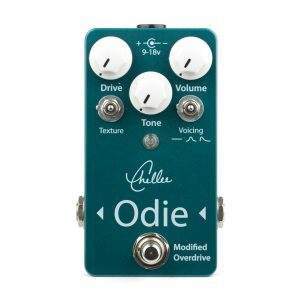 Odie Modified Overdrive is the next generation of the original Odie Overdrive. All Version 2 effects now utilize relay soft switch bypass switching. 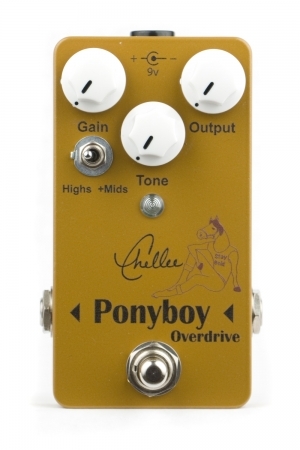 Three drive texture settings: Asymmetric diode clipping, Asymmetric MOSFET clipping, and clean boost. The key word here is Modified. 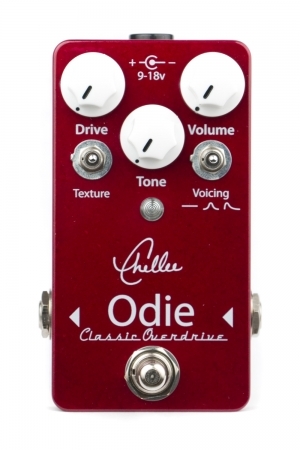 While the Odie Modified Overdrive is technically another Tube Screamer based circuit, it’s careful voicing gives it a sound of its own that can be more open and less compressed than any TS pedal you’re used to. 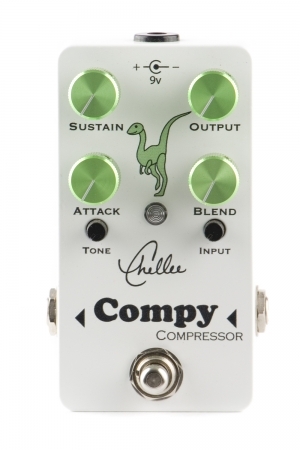 The MOSFET clipping setting gives you a different flavor of compressed gain that borders on a higher gain drive. The Voicing switch adds more EQ options to help you sit in the mix where you want regardless of the rest of your rig’s voicing. There’s even a fat low-mid setting that thickens your tone without getting loose and flubby. 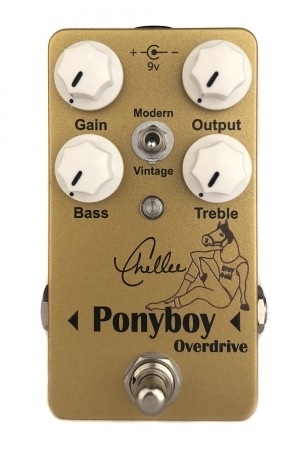 This pedal has been a favorite among bass players as well. For even more tonal variety try it with an 18 volt power supply. Odie Modified Overdrive is the next generation of the original Odie Overdrive. All effects now utilize relay soft switch bypass switching for added reliability and a dimmer and more diffused LED indicator.